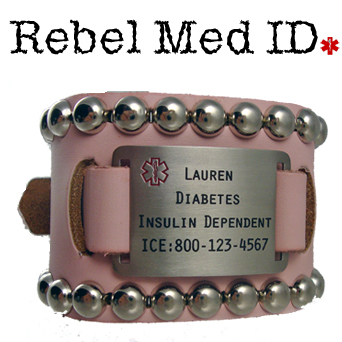 Let your spirit for your own individuality soar with our New "Rebel Med ID" Series Medical bands ~ Our Girls & Ladies Studded Edge leather band in Pink. Genuine leather band made in the USA, with buckle closure, This Pink band is has 26 metal studs and comes with a stainless steel medical tag that easily snaps in. Medical information engraved on the front. 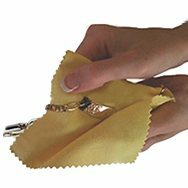 Fits wrist/arm sizes: 6 to 7-3/4" Measure carefully! Engraving is done in CAPITAL lettering, please leave spaces between words for clarity.